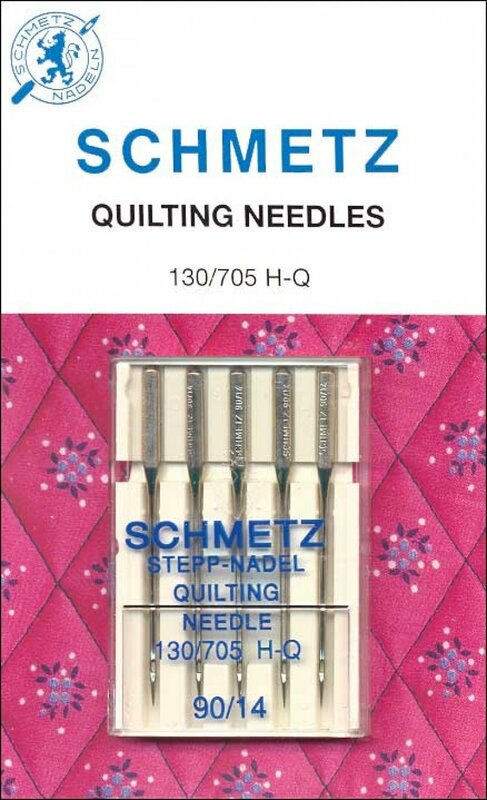 These needles have a special tapered point engineered for machine quilting. I like this size for quilting through seams. Carries many thicknesses of thread well (up to the 28/2). Five needles per pack.